I’m lucky. 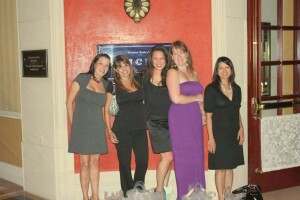 I have a great group of girlfriends. We make it a point to get together at least once a month, usually to we eat somewhere delectable where we can drink lots of wine, laugh and stuff our faces full of food that would break any respectable woman’s diet. Last month, one of my girlfriends suggested we eat at a french restaurant called Bouchon. Having a husband in restaurant distributing, and being a proud foodie, I consider myself pretty schooled on Las Vegas restaurants. But I will admit I didn’t know anything about Bouchon before I went. 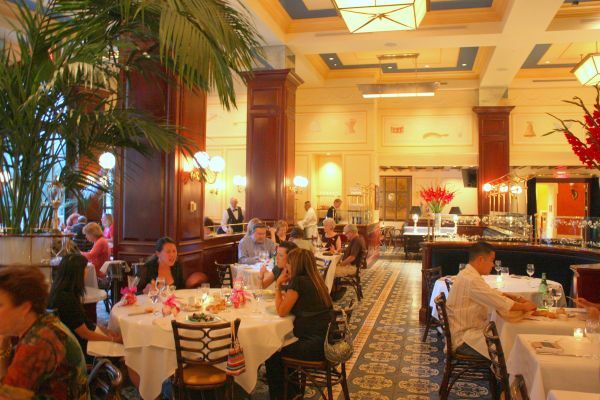 Bouchon is owned by one of the most famous chefs working today, Thomas Keller and is tucked away on the 10th floor of the Venezia tower in the Venetian. I would never have found the place without my girlfriend’s detailed instructions (look for the lone elevator in the parking garage, casino level, to take you straight to it!). The place was warm and airy, and although it initially felt stiffly formal with its white table cloths and expensive deco, the menu and dress code is actually quite relaxed and casual…it’s a bistro, after all…so make sure not to overdress (although you could get away with it!). I was surprised to see the menu itself came on a simple, brown piece of paper. Our table service was perfection – we had constant, friendly attention from the staff from start to finish. I could tell the best of the best work at Bouchon. Since I am a former service industry person myself, when visiting restaurants I notice the little things that the average guest wouldn’t…this time it was the lone man in a cheap suit sitting at the table next to us, with his lengthy requests for the waitstaff and his “how to” poker book laying next to his plate (seriously). I watched as the servers didn’t even roll their eyes at him (like I was doing), but instead patiently listened and even offered genuine smiles as he rambled on. Now that’s good service, people. The Bouchon foie gras is served in its own jar. I ordered the roasted chicken with sweet corn and mushrooms, and the chicken was so moist each bite would drip with juice on the way into my mouth. Yum. My girlfriends ordered a variety of entrees including salmon and a flatiron steak. Everything was delicious. Each plate was rich with flavor and cooked perfectly. I didn’t taste one thing that I didn’t like. 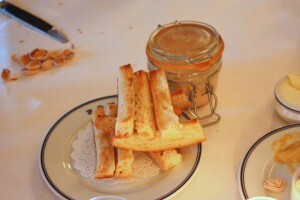 One of my favorite tastes was the foie gras served with toasted baguettes. I’m not a huge fan of foie gras in general, but this was cleverly served in a small jar (with a lid!) and tasted like smooth, beefy, buttery goodness. Dinner prices are very reasonable, ranging from $17.95 to about $35.00. The portions are huge so make sure to come hungry – no matter what you decide on ordering, there will be plenty of it. Bouchon also has a full bakery staff, so make sure to save room for dessert. The Pot de Crème (creme brulee) is to die for and, like everything else, it’s huge. If you’re not wanting dinner, Bouchon serves breakfast and lunch as well. I hear their weekend brunch is fantastic (Sat. & Sun. 8 a.m. – 2 p.m.) – I’ll definitely be returning to experience that. After dinner, we were stuffed and happy. Breakfast hours are Monday – Friday, 7am – 10:30am The oyster bar is available daily from 3pm – 10:00pm, and dinner is from 5pm – 10pm every day. 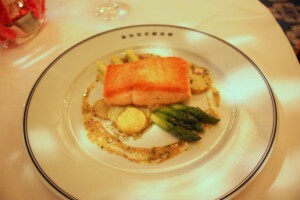 You can view Bouchon’s entire menu on their website. Whether you’re looking for a comfortable dinner with friends, or an all-out date night with your sweetie, Bouchon is sure to please your taste buds as well as your hungry tummy. OMG! This article made me hungry! Great write up, will have to go there soon and check it out. Foie gras… mmm. This place sounds fabulous, and although I had noticed the sign on the elevator, I knew nothing about it. Thanks for a great review! What a beautiful restaurant, can’t wait to go back. I love their french fries and open face duck sandwich. Scrumptious! !